Spring Break is here! Whenever your spring break has occurred, we are hoping you had time to relax and re-energize yourself for the remaining weeks of the school year. Listen to Drew Dudley’s TED Talk for uplifting words on Everyday Leadership as he redefines leadership to “lollipop moments”. Every teacher can be a leader! You can also download the QR Code for Windows 10 app and generate your own QR codes. All you need to do is hit the hamburger menu and voila, your QR has been generated. 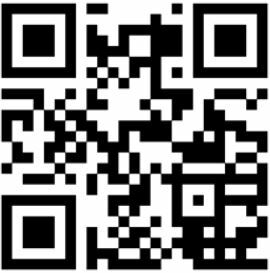 The app also keeps a history of your QR codes. So, if you ever need to check what QR codes you’ve used, click on the menu button and go to History. What is your favorite app? Please share your favorite applications or websites that you use with students at What’s Your App? Watch for your submission to be featured in APP NEWS soon! Additional digital learning resources/apps can be found at CVL Digital Literacy. 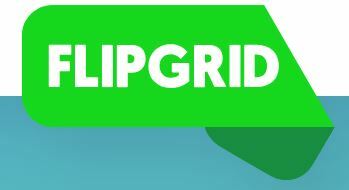 READ FlipGrid’s March Newsletter for new ways to use this app with your students. If you missed the March 26th FlipGrid Genius Hour episode on Infused Inquiry with Holly Clark you can catch it at FlipGrid vimeo. Create a Fliphunt – a digital scavenger hunt! Learn how at Fliphunt. Ideas for creating Fliphunts can be found at FlipGrid Fliphunts. InnEdCO 2019 – Learning Academies & Keynotes at Keystone, Oh My!! InnEdCO announces Gitanjali Rao as a keynote speaker. She is 13 years old and is an 8th grader at STEM School Highlands Ranch in Highlands Ranch, CO. She was named America’s Top Young Scientist of 2017 by the Discovery Education 3M Young Scientist Challenge, with a patent-pending device to detect lead in water faster than any other current techniques. Adams 12 Five Star Schools and St. Vrain Valley School District have teamed up to create the first Colorado Computer Science Conference for P-12 Educators for more information visit – Rock CS! The National Integrated Cyber Education Research Center has developed a library of free modular curricula for teachers to embed across multiple disciplines and empowers them to prepare students to become the next generation of engineers and cyber professionals. More information can be found at NICERC. Request access to the NICERC Curricula at Cyber Interstate. Bill and Melinda Gates have published their annual letter at Gatesnotes. Their list of “Surprises” learned includes the impact of girls’ education, globalism, and at Surprise#8 – textbooks becoming obsolete and digital learning tools. BE THERE – April 18th & 23rd, 2019 COllapporative Events in Colorado! In this video series, Edutopia explores how educators can guide all students, regardless of their developmental starting points, to become productive and engaged learners. features Strategy Share, Educator Spotlight, and News from NatGeo. Strategy Share includes innovative ideas, projects, and approaches from inside and outside their community of educators. The March 2019 post includes documentary filmmaking and teaching literacy in the science classroom. The Shake Up Learning Show, a new podcast hosted by Kasey Bell from Shake Up Learning, launches on March 26, 2019. ‘This binge-worthy series will focus on meaningful technology integration and dynamic learning strategies for teachers, and listeners will get access to an EPIC FREEBIE DOWNLOAD!’ New episodes will be released every Tuesday. Subscribe to Kasey Bell’s newsletter at Shake Up Learning. View their most recent 3d model at Woolly Mammoth. Learn more at Smithsonian Digitization Facebook page.